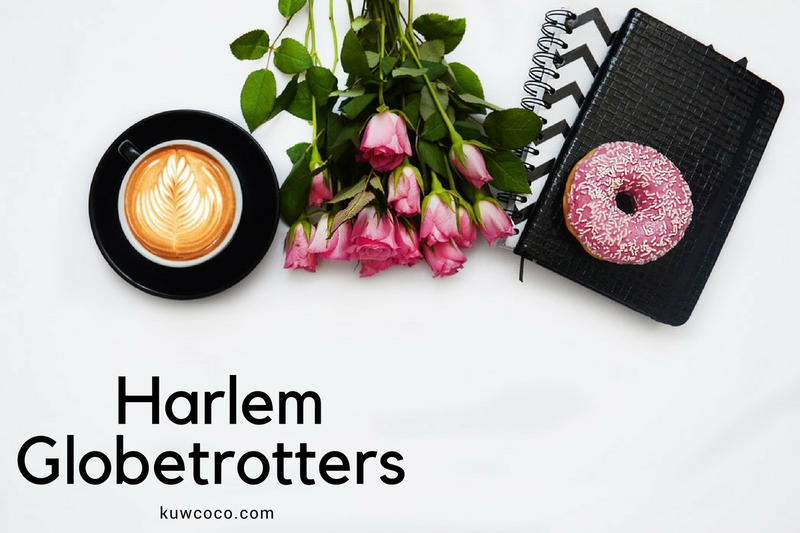 As soon as I saw The Harlem Globetrotters tickets come up in US Family Guide, I jumped at the opportunity to go to their game. I have always seen videos and commercials for them but I have never been lucky enough to experience them live and in person, well not until now! A few nights ago I finally got to attend a show! Even though I am 21, you cannot deny that they truly are so entertaining and fun! Not once in two hours did I find myself scrolling through my phone or bored. The show they put on is truly one of a kind, they make everyone participate. Not only are they always high fiving people in the crowd and finding little ones to bring onto the court they even do a meet and greet for anyone who wants to go onto the floor. The experience overall was unforgettable. They really go above and beyond to make the night memorable for you and your entire family. I give them a lot of credit because being appealing to all ages is very far but they somehow pull it off. Not to mention that during "half-time" it was basically a rush of kids onto the sides of the court. They were passing out basketballs to anyone who wanted one to practice their skills. I mean what kid wouldn't want to play right on the side of the world famous Harlem Globetrotters court with a Harlem Globetrotters basketball? 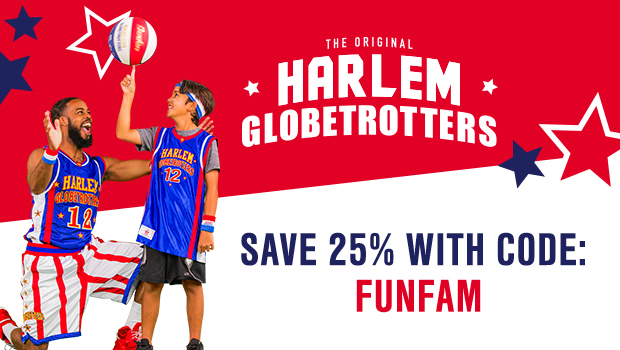 If you are interested in getting tickets to one of the stops on the Harlem Globetrotters tour, head over to http://www.harlemglobetrotters.com! They have tons of upcoming shows and you will be able to find a location near you! Want to sweeten that deal a little bit? Well guess what! I have a 25% off coupon code that you can use when placing your order. Just use the code "FUNFAM" at checkout to get 25% off your tickets!! Thanks for review. It was great! I think I'm convinced to go see them with my 12 year old.